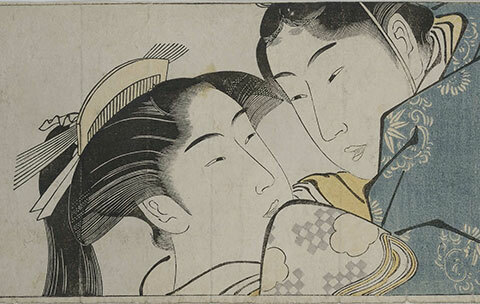 credit: Torii Kiyonaga, Japanese, 1752–1815, Sode no maki (Handscroll for the Sleeve) (detail), c. 1785. Color woodblock printed handscroll. Image courtesy of Ebi Collection, Art Research Center, Ritsumeikan University.